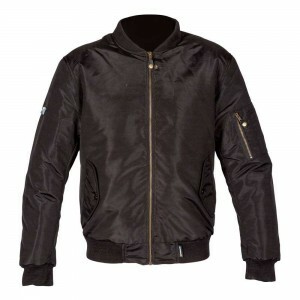 The Spada Air Force One Jacket is a traditional bomber jacket all geared up for life on two wheels. The outer shell is made from really tough 600d Densiweave polyester and the inside is quilted lined for a really comfortable jacket. There is a fully waterproof and breathable membrane so you can chuck this jacket on without worrying about what the weather might do and you are protected against impacts with the included CE elbow and shoulder armour. The large arm pocket will always come in handy on a bike and a nice little feature is that the zip pulls can be fastened down so they don't flap about when riding. 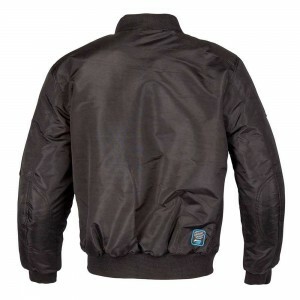 Great price flight jacket that will keep you safe and comfortable whatever your ride.